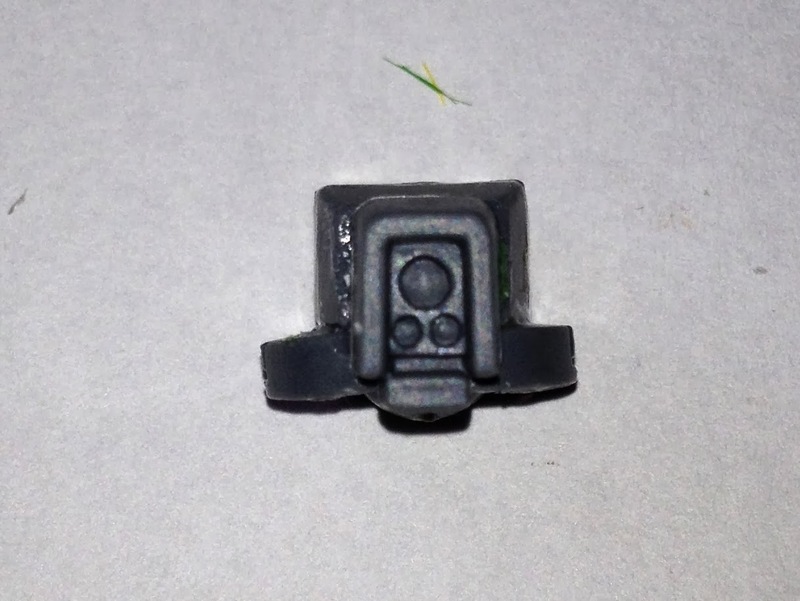 A few weeks ago I posted some pictures of my XV-8s, and was immediately asked for a tutorial... well here it is. First, I need to acknowledge Adam, the originator of this blog. 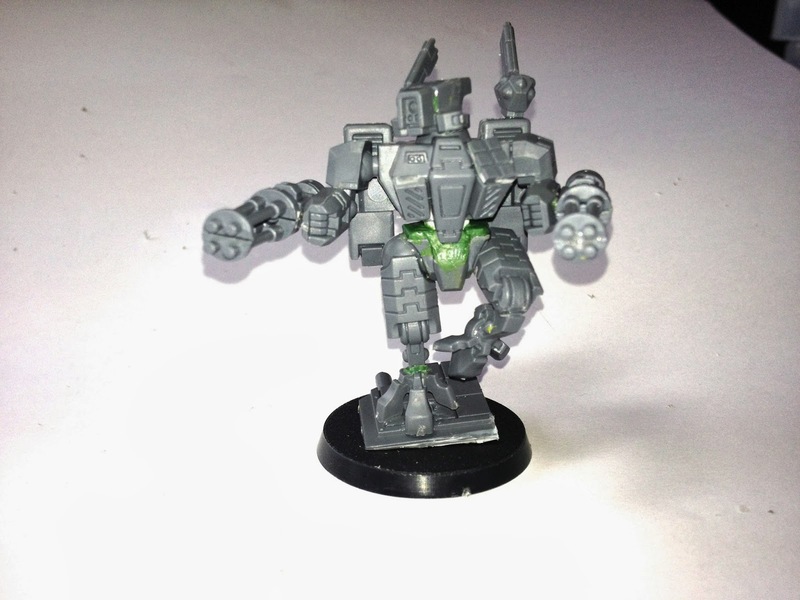 These conversions are based on his tutorial that can be found over on the right side of this page under the heading Tau Crisis Battlesuit Conversions. I've added a few bits and pieces here and there, in particular elongating the torso, (making it look less squat). This also allows for better articulation making more dynamic poses easier. 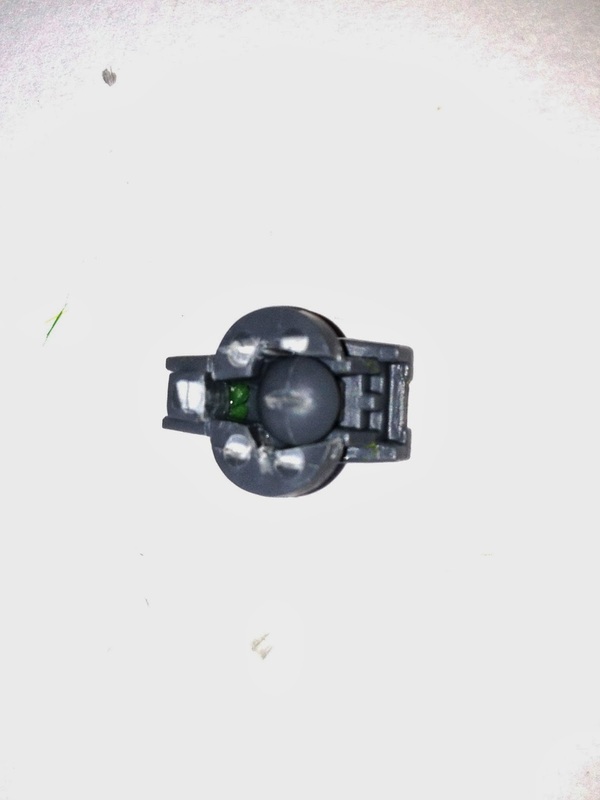 Everything you need to build the XV-8 conversion is on the XV-8 Sprue, with 4 minor exceptions. Firstly, you will need another flamer (for a total of two, that will no longer be flamers). 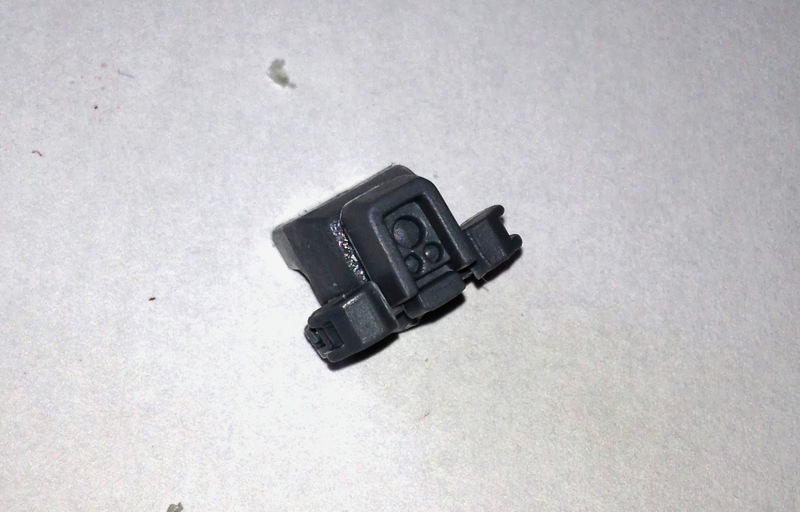 Second, you need some plastic rod to use as the spacer. 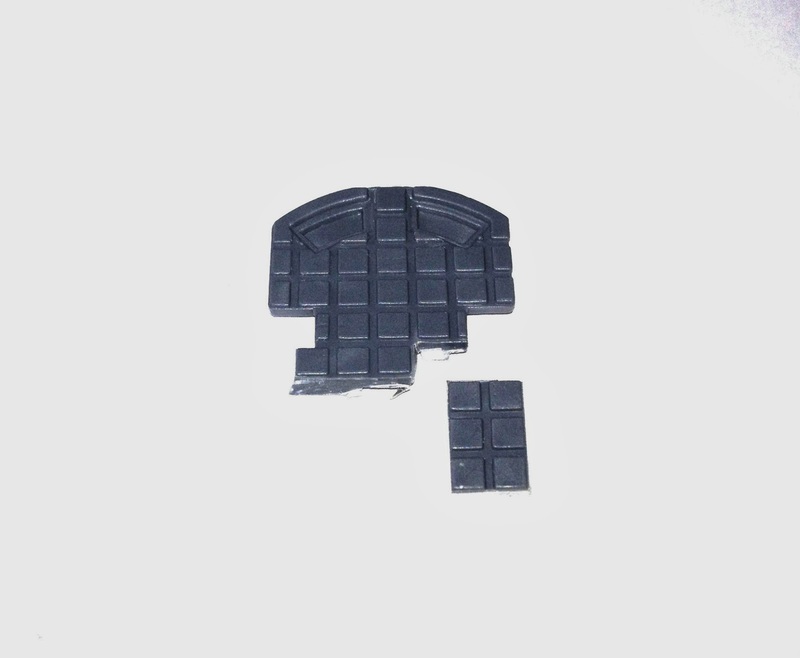 And finally, you need the internal hatch cover from the inside of a Tau Vehicle (you never really use it when building the vehicle anyway). In addition to all the bits, you'll need the usual hobby stuff, clippers, knife, super glue, plastic glue, green stuff, and a drill. The most important thing is that you need a sharp blade on your hobby knife - I usually change blades after each XV-8 conversion. The first thing to do is cut the body. The first picture shows the front chest plate after the cut. Cut under the main chest panel, and just above the sockets where the legs attach. This is probably the trickiest cut in the conversion. Take it slowly and make many gentle cuts rather than a few cuts with greater pressure. It's a bit ackward as you cut round the lowest part of the chest panel. Take care here ... I've shed blood more than once doing this bit! This is an easier cut than the front. The important thing is to keep the cut above the leg sockets. Once you've done both, stick the two lower parts together and put to one side. These need time to bond before you complete the model. You can now go ahead and stick the two upper parts together. This bit always makes me a little sad. The back and front should fit together perfectly but they don't. 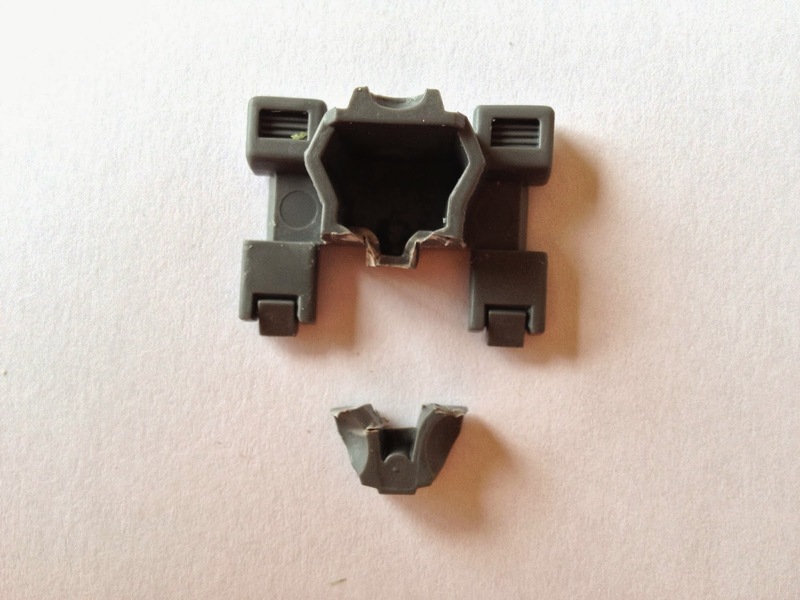 You need to shave down both parts to fit them together. 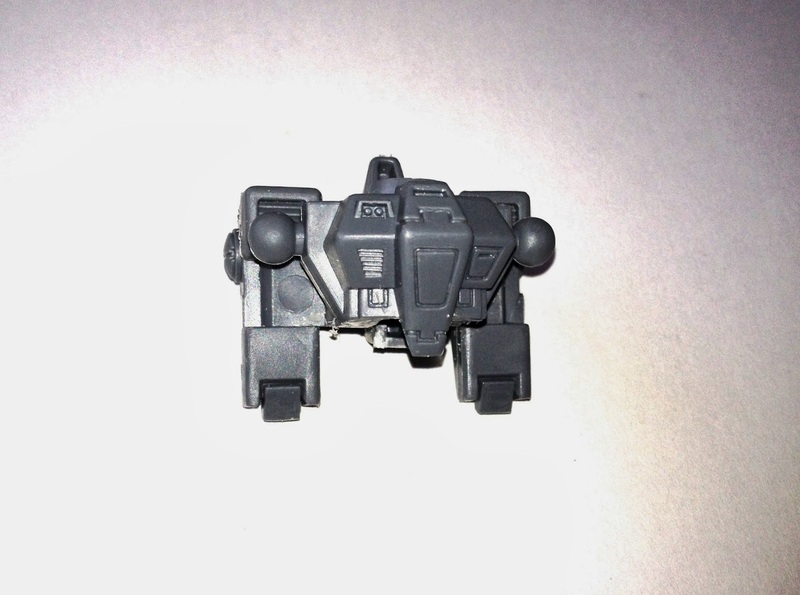 It just shows what an old model the XV8 is. Next you can go ahead and stick the back panel onto the completed chest to get something like this. Ironically, to get the back panel to fit properly, you need to cut one of the locating tabs as they don't fit into the slots properly! 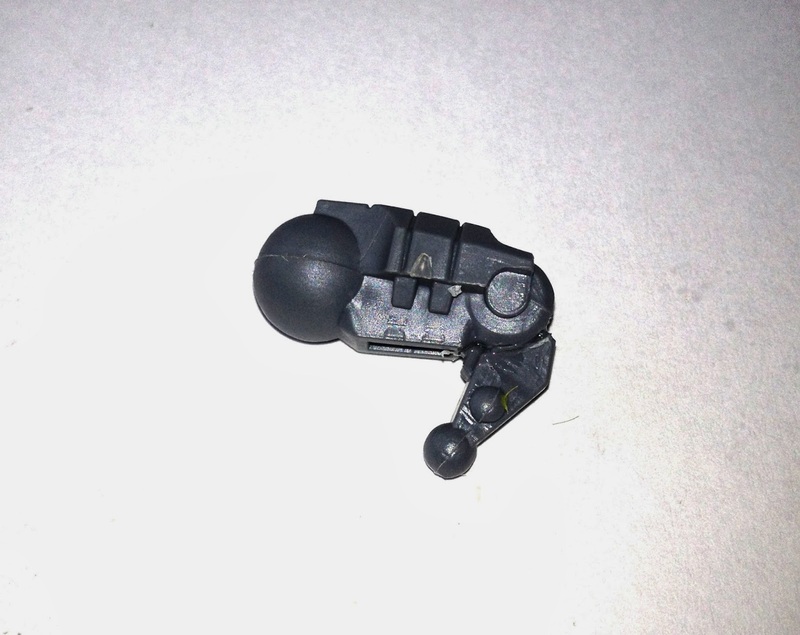 For the head you need the original head, what used the to be the targeting array, and the burst cannon. These are the bits I'm talking about here. First the head itself. 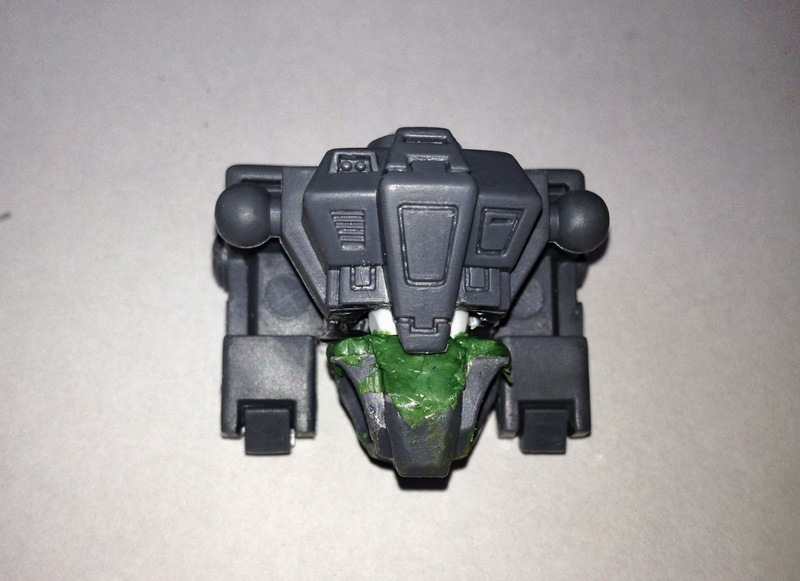 Take the actual head and shave off the 2 nubs on the sides. 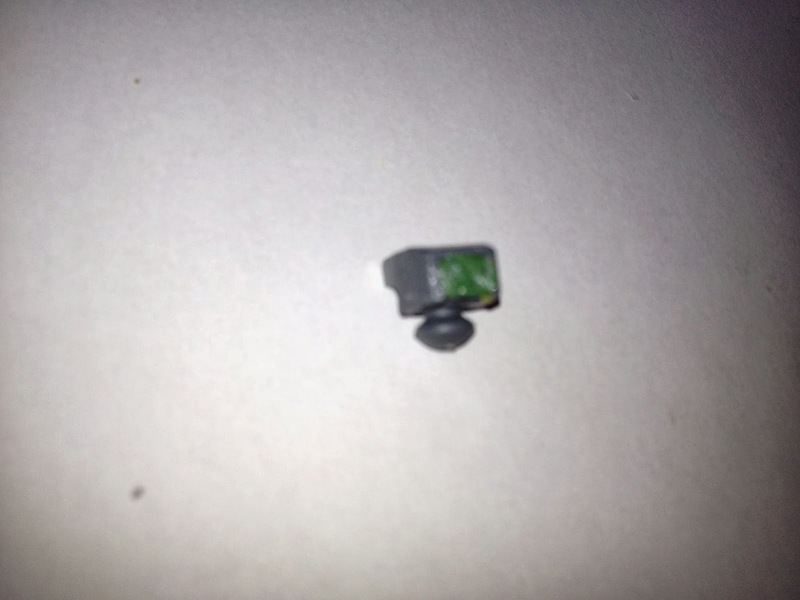 It's easier to stick the antenna straight onto the head than try and use the locator pins. 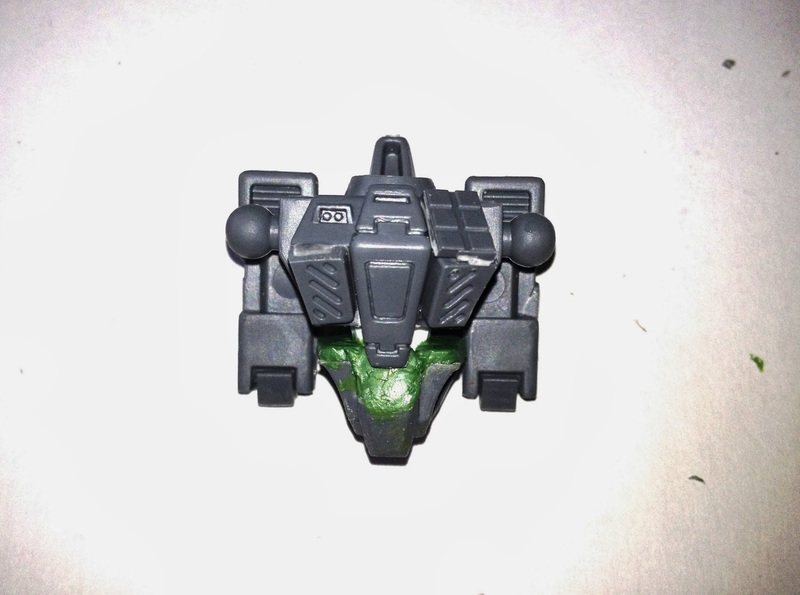 Next, fill in the front facial part of the head with green stuff and smooth it down flush with the front of the head. It should look something like this, not a great photo, I'm afraid. 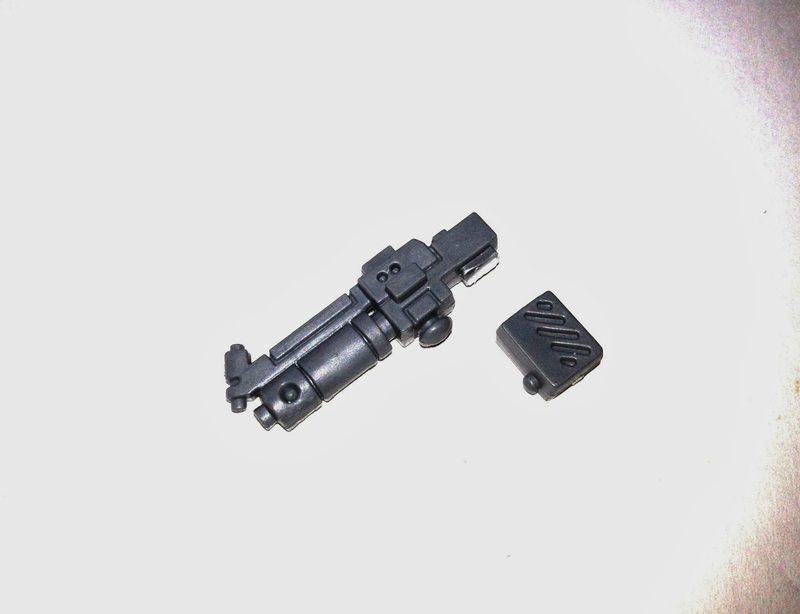 Next take the targeting array and cut it in half, more or less across the mould line. Try and cut this as straight across as possible, because the next thing you're going to do is stick it to the front of the head. If it's not straight, it will sit squint and look stupid! It should look something like this. Next cut the burst cannon. 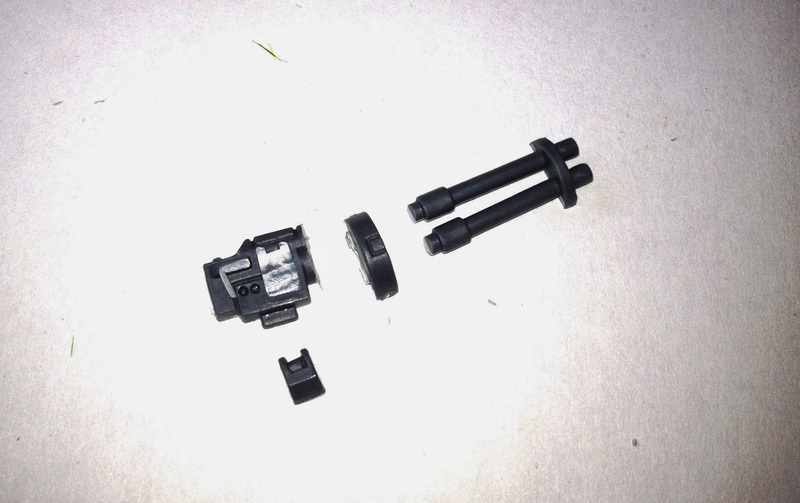 You want the semi circular bit between the barrels and the main body, and the shell ejector. 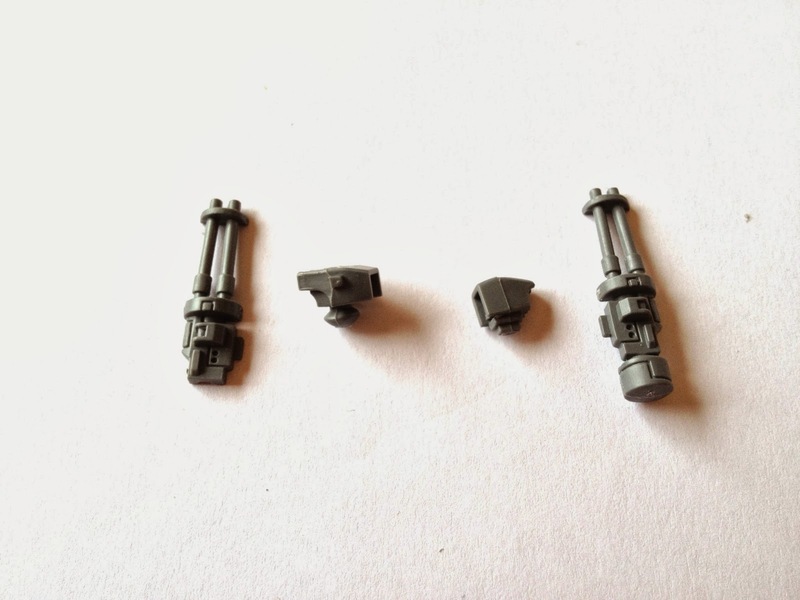 Cut one from each half of the burst cannon. The cut should look like this. This is a tricky bit. Turn the head upside down. Stick the two semicircular parts on either side of the head. When you've done it it should look like this (seen from below). 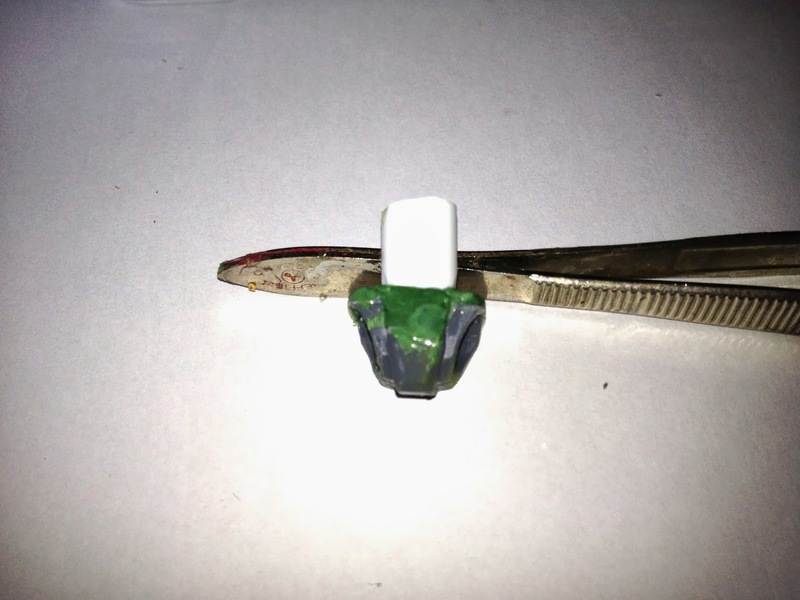 The next stage is to insert the spacer into the lower part of the body that you cut out and stuck together earlier. You'll need to cut away some of the inside of the lower section to get the spacer in. Put a blob of green stuff into the lower torso and set the tube into it. Next you need to fill in some gaps around the spacer with green stuff, and build up the edge around the spacer to square it off. When you're done it should look something like this. 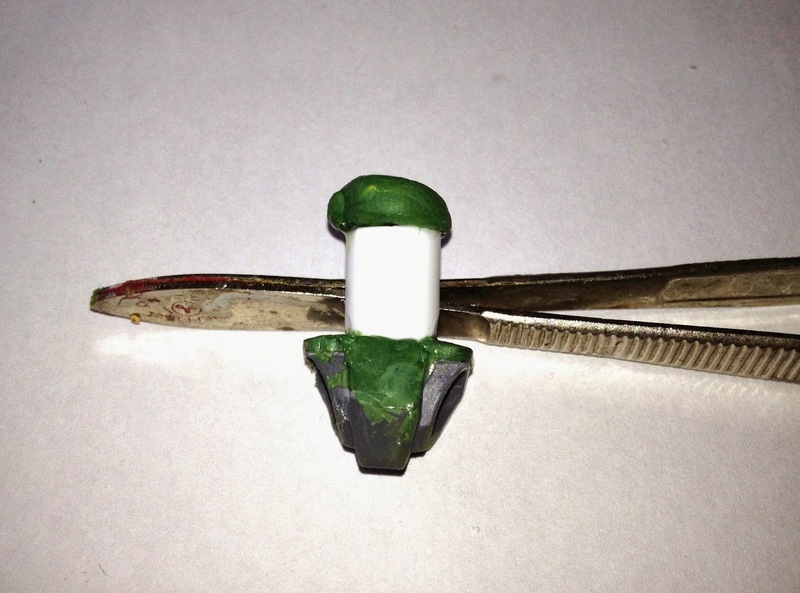 Now you insert the spacer into the upper half of the torso. I usually insert it into a blob of green stuff. It's not necessary, but it allows you greater freedom to articulate the halves separately, if that makes sense! And this is the whole, after the 2 halves are stuck together. This bit is optional I guess, but I think it gives the VX-8 a bulkier look, which I prefer. You can use them like this if you want, and that was the way Adam did this bit originally. However, I think that makes the chest too bulky. 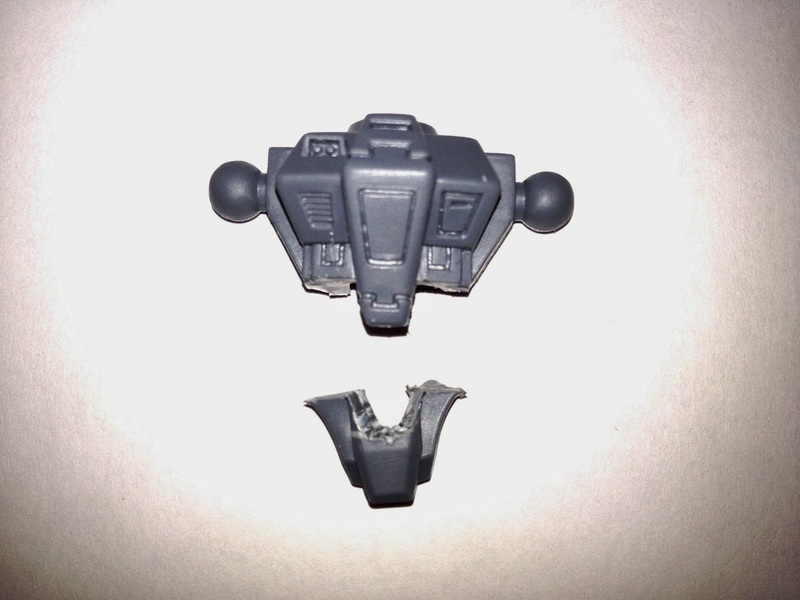 I cut the canisters in half along the mould line, and then shave of one side obliquely, to fit the chest piece. Once cut it looks like this. Flamer Fuel Canister, ready to be stuck on. Section from hatch, ready to be stuck on. You can vary this bit as much as you like. 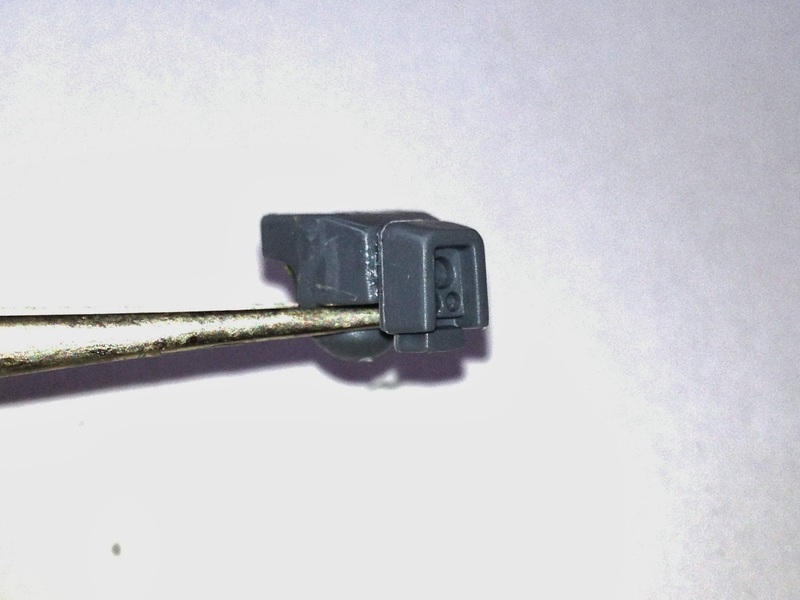 There are 2 things that make posing the XV-8 easier, cutting the legs at the knee to allow the leg to bend, and cutting the arm at the elbow joint to allow you to straighten the arm. Also, because of the 2 part torso, it possible to articulate the body, again making posing easier. The other important part is to make sure your basing is secure. 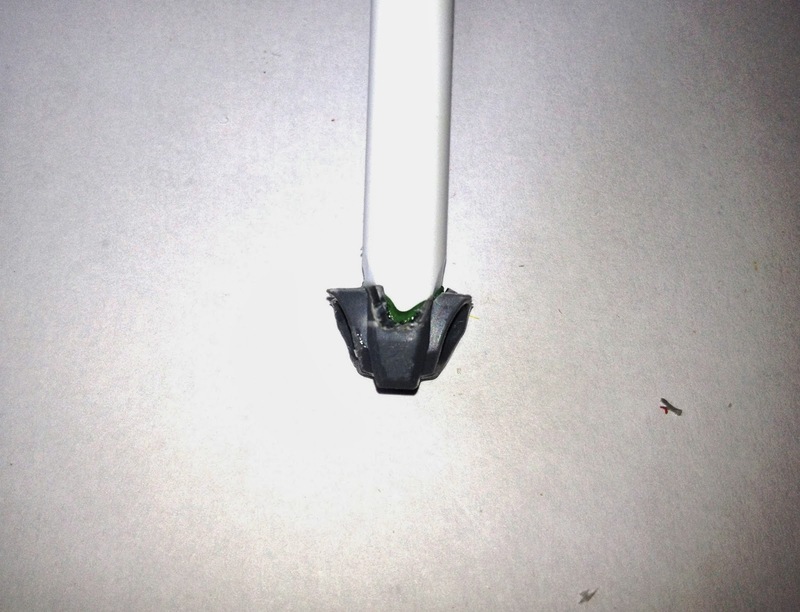 I drill up through the leg and use the brass rod to pin the leg through the base. No chance of this ankle breaking! Leg pinned and attached to base. And here are a couple of examples of how flexible these models can be. This is my Raven Commander. Both legs were cut and bent to 45º, allowing the model to kneel. The body articulation allowed me to bend him over like this, viewing his battlefield computer display. 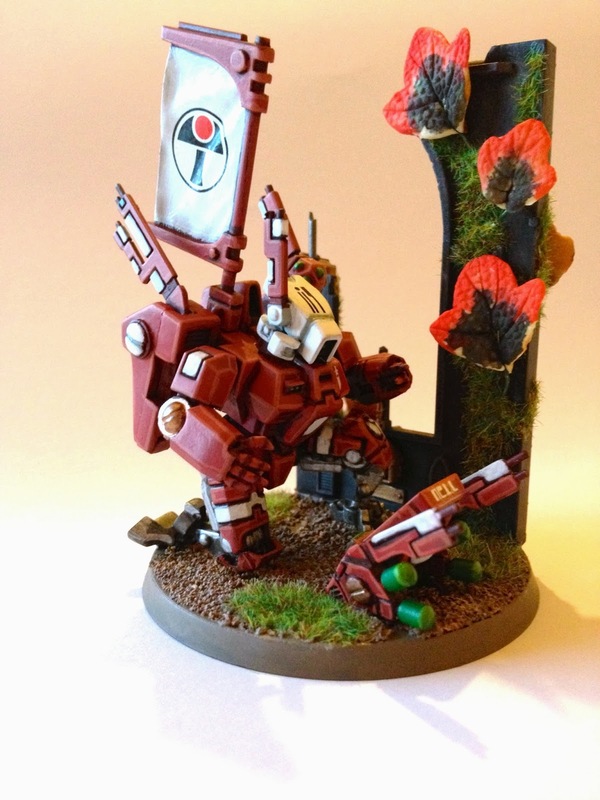 The display is made from a Broadside shoulder pad, and antennas from the homing beacon in the Stealth Suit kit. The fingers you can see in his right arm are cut from a space marine Power Fist. The back banner is from Paulson Models. This guy is a Double Deathrain Shas'vre. 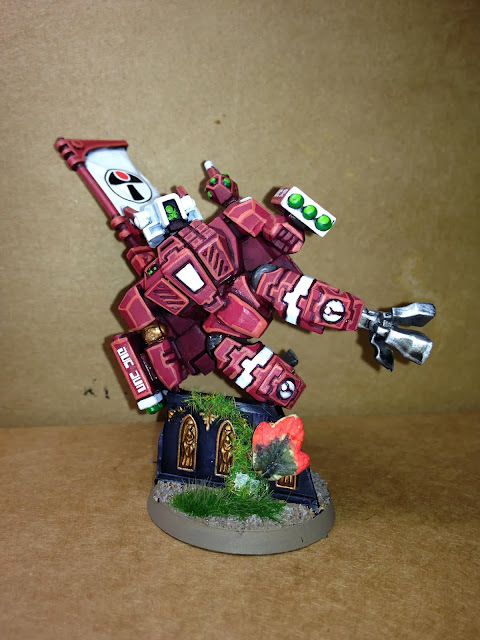 I modelled him using the same techniques outlined above, but the positioning is pretty unusual - vaulting over a piece of ruin (why he's vaulting over a ruin when he has a Jet Pack, I've no idea!). Again, the articulation in the waist makes for a very posable model. So that's it, thoughts and comments welcome.